Have you have recently had unsatisfactory roof repairs or work done on your home or building in Arizona? If so, then you can and should take action and report the offenders to the Arizona Registrar of Contractors or AZROC. In Arizona all roofers are required to be licensed members of the AZROC, and the organization takes complaints seriously. The First step to resolve your issues with licensed roofers is to contact them, and discuss your issue directly. In many cases they will work with you to resolve the situation to your satisfaction. Only after you have attempted to contact them should you begin the complaint process. However, reporting unlicensed contractors can be done at anytime, and it may be unwise to contact them as they are operating illegally. After you have attempted to resolve the issue your next step is to file the official AZROC complaint form. This document can be found online and downloaded at will. To expedite the filing and review process it is important that you fully complete the document. Also please make note of the fact that you will need one copy of the complaint form per person that you report, or your complaint will be rejected. If you suspect the roof repair was done by an unlicensed worker you should also include copies of additional evidence such as: contracts, purchase orders, checks, business cards, permits, invoices photos. Beware, before you submit any information it is important that you are realize that all documents you provide will be made public. For your own protection include only photocopies of supporting documents, and be sure to black out any sensitive personal information including but not limited to: SSN, bank account number, drivers license, birth date. When filling out your complaint form there are several critical factors that you need to insure are correct to avoid delays or returns in the reporting process. Check that the complaint form has been singed and dated with your original signature; unsigned forms, copies, and faxes will be rejected. Sections three and four must be filled out completely and if they request information that is not relevant print clearly: N/A. When completing section five add all relevant issues; any additions to the list after initial filing date will result in delays. Once you have completed your form the next step is to simply hand deliver, or mail in your documents to your nearest azroc office. Faxed and emailed complaints will not be accepted in order to maintain the authenticity of the documents. 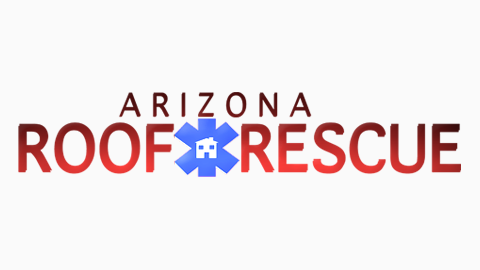 The AZROC has offices in: Flagstaff, Kingman, Lake Havasu City, Prescott, Phoenix, Show Low, Tucson, and Yuma. Addresses and phone numbers for each branch can be found online or in your local phonebook. Ultimately, filing a complaint against incompetent or unethical roofers is a simple process. Make sure you fill out your complaint form completely and accurately. If you follow all of the guidelines here and on the official form you will be well on your way to an azroc enforced resolution.